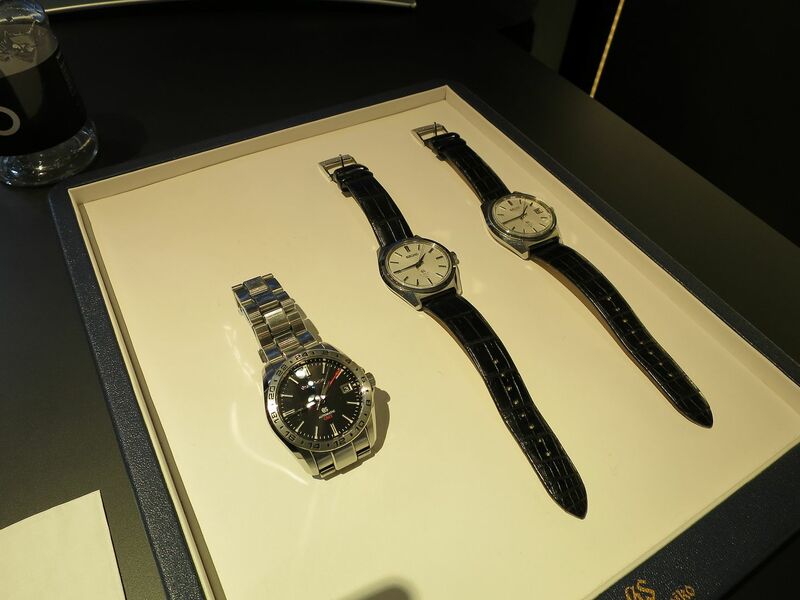 This past Monday I had the singular pleasure of sitting down at Seiko's new flagship boutique on Madison Avenue to receive a demonstration in movement assembly from one of Seiko's master watchmakers. 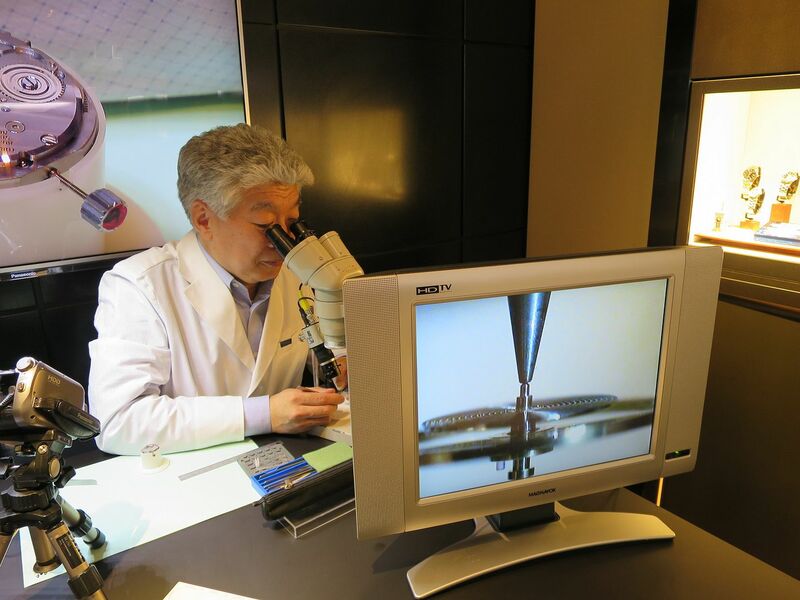 To say that Akira Oohira is a master watchmaker is to understate the situation somewhat. 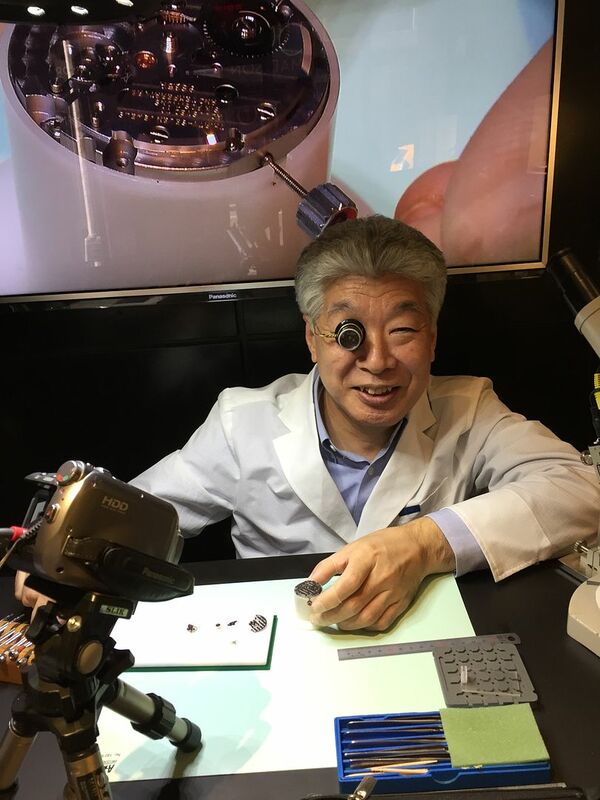 Not only is he adept in the crafting of Grand Seiko movements, which is a feat unto itself, but he's also known as the "Godfather of Adjustment" thanks to his almost preternatural skills at correcting balance springs. 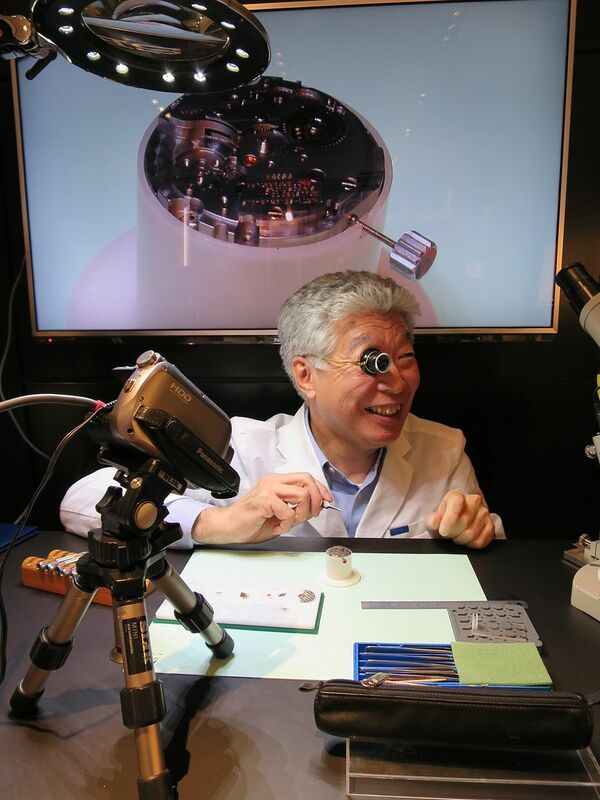 For those who don't know, adjusting a balance spring is as much art as it is science -- perhaps more so art -- and one of the reasons for Akira-san's visit is to impart his knowledge to the watchmakers who will make up Seiko's United States watch service center. That's right, for the first time your Grand Seiko and Spring Drive watches will now be able to receive service and repairs right here in the good ol' US of A, and Akira-san is here to make sure that it's done right. A little background: Akira-san began his journey with Seiko at the tender age of 15. For the next five years, his job consisted of removing and replacing case backs, and that's all. Well, that and keeping his mind open to the work of the watchmakers around him, of course. 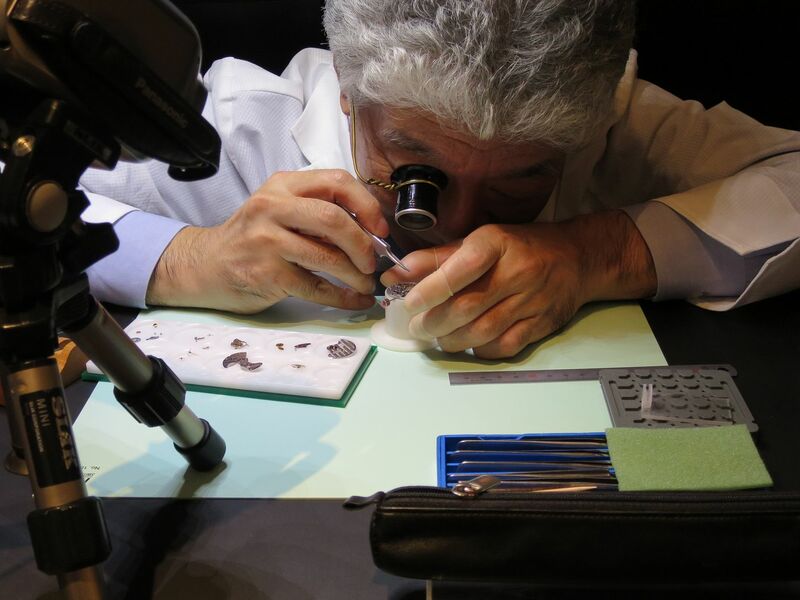 The next step in his apprenticeship involved mounting dials, followed closely by installing handsets, after which Seiko finally felt that he was ready for the next step, and sent him off to watchmaking school. The rest, as they say, is history. Today, Akira-san is based at Seiko's Shizukuishi factory, which is about three hours north of Tokyo via train. However, given his current responsibilities, he spends much of time on the road; in addition to training the US service department, he is also heavily involved with the set up of satellite factories dedicated to the manufacture of Seiko's 7S line of movements. My visit began with introductions all around, though it should be noted that Jim, Seiko's boutique manager, is a known quantity on my end. In fact, I urge anyone who is in the neighborhood to take some time to stop by and allow him and his staff to show off some of the amazing pieces that they have on hand. In addition to Akira-san, Seiko USA's Vice President, Russell Rowlands was on hand to narrate the proceedings. While Mr. Rowland's full title includes words like "strategic planning" and "business development", his technical knowledge of Grand Seiko manufacturing procedures was beyond impressive. Basically, the man gets it. So, with introductions out of the way, Akira-san dove straight into the demonstration, starting with the assembly of the gear train for the 9S85 Grand Seiko hi-beat movement. This is one of Seiko's flagship movements, and hearkens back to the original hi-beats from the 60s and 70s. As the term "hi-beat" implies, this movement beats at 36,000vph, which allows for very price rates, though with more wear than a traditional 28,800vph or 21,600vph movement. 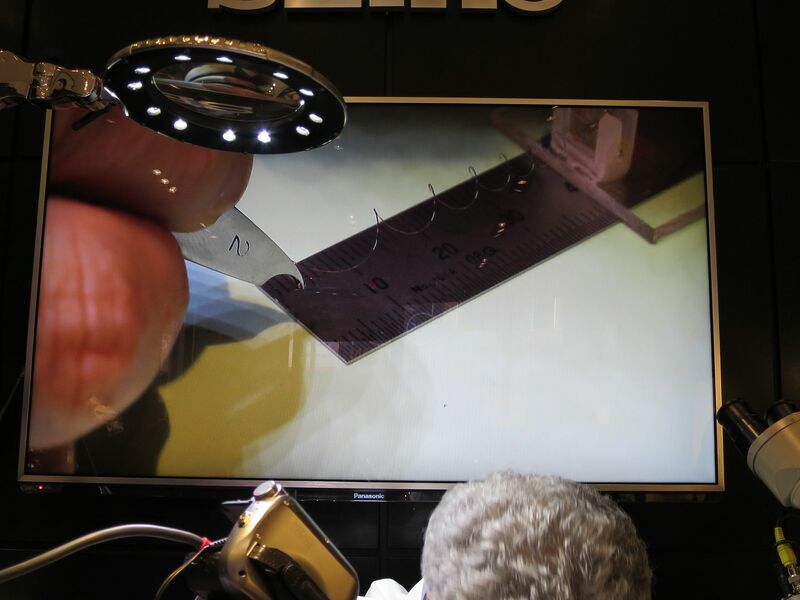 To counter this, Seiko has created an entirely new and proprietary manufacturing process to alleviate friction on the moving parts, called "MEMS", which stands for Micro Electro Mechanical System. 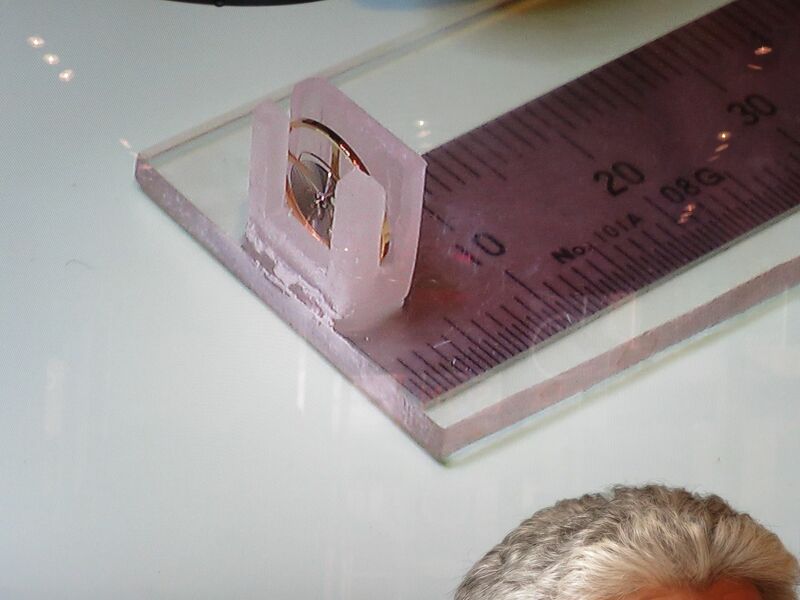 In a nutshell, MEMS allows for incredibly precise tolerances and finishing for escape wheels and pallets. This is achieved through a multistep process that begins with a silicon disc, on which a mold is formed through UV ray bombardment. 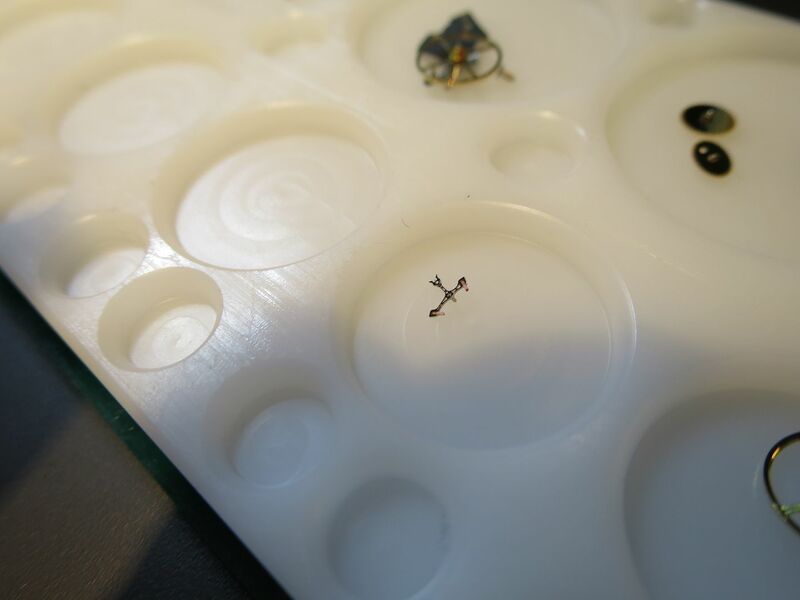 Electroforming is then used to fill in the resulting mold with the proper metal, with the end result being a finished escape wheel/pallet that is far more precise than what traditional machining would be able to achieve. This process also allows for shallow divots to be placed on the ends of the escape wheel, which can hold extra lubricant. All of this conspires to reduce friction and lengthen service intervals, which is particularly vital for hi-beat movements, owing to the additional wear and tear their faster beat rates incur. 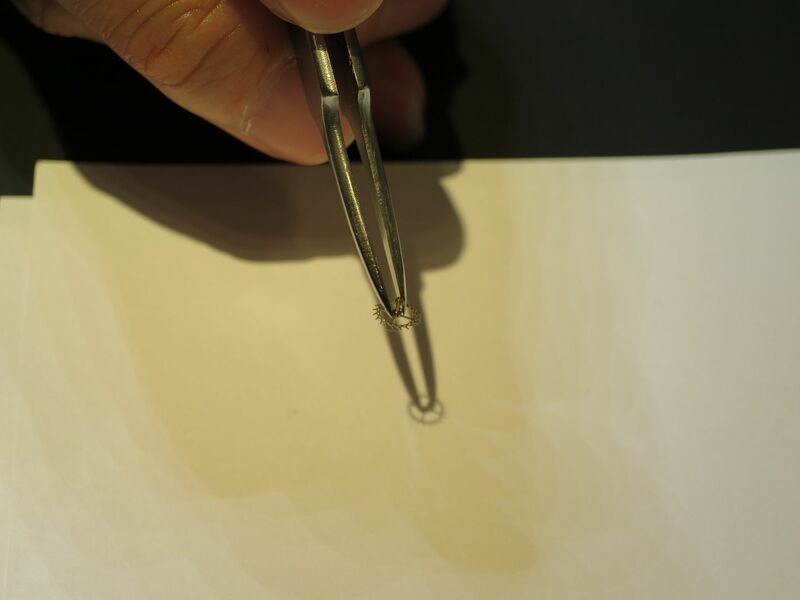 The balance spring itself is proprietary to Seiko. Known internally as SPRON-610, this metallic alloy is remarkably temperature resistant and can resist magnetic fields up to 10,000A/m. It's also extremely elastic. In a demonstration, Akira-san pitted the 610 against a previous generation balance spring by stretching each of them out like a child's Slinky. Where the older spring failed to return to its proper shape, and was in essence, ruined, the 610 bounced right back in place. Remarkable. So, with the balance wheel adjusted, Akira-san proceeded to install it in the movement, and wrapped up the demonstration with a note to the effect that he had to slow things down for my sake -- yes, in spite of his stoic Japanese efficiency, his sense of humor remains intact. So, what's the takeaway from all of this? Simple -- Seiko is here, and they're here to stay. Not only are the watches available on these shores -- finally -- but the entire experience, soup to nuts, is now part of the package for US customers. Gone are the days when you had to order from Japanese importers, only to worry that if your watch required service, that it would have to be sent back to the Land of the Rising Sun. Now, it's all right here, at your fingertips. PS - Oh, so what watches does Akira-san wear, you ask? Previous Topic: New arrival--Seiko Monster!